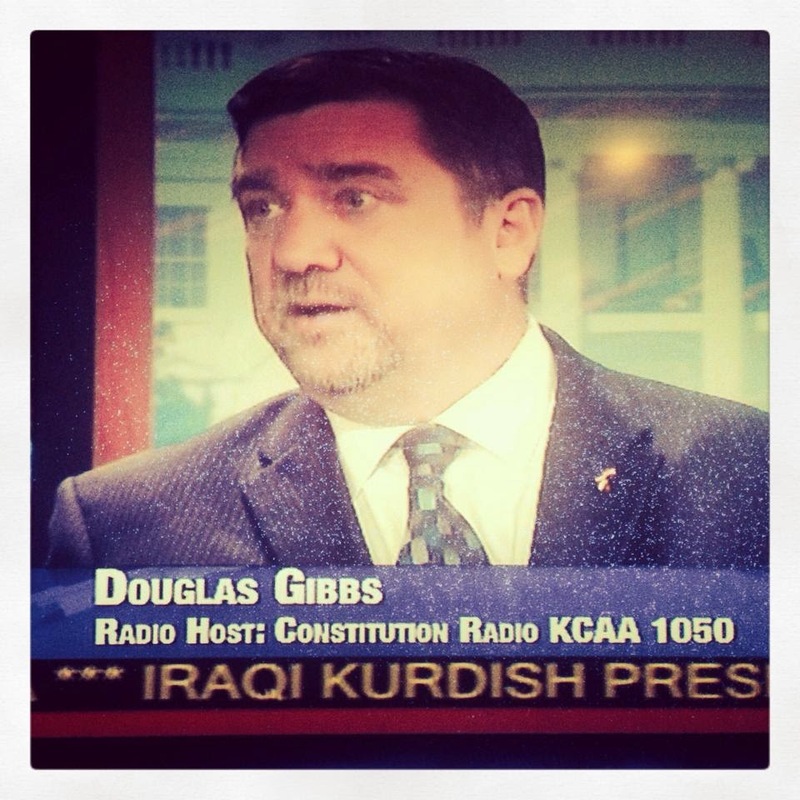 Douglas V. Gibbs is a Radio Host, Author, President of the Constitution Association, a fellow of the American Freedom Alliance, Director of Civics and Constitution Studies for the National Congress of Racial Equality, and Instructor on the United States Constitution. Douglas V. Gibbs has appeared a number of times on Fox News, One America News, Al Jazeera America, NPR and various smaller television and radio outlets. Doug is a free lance newspaper columnist whose articles appear in both print, and online. 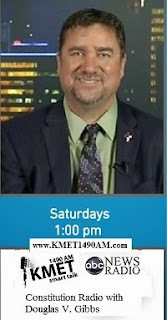 He is a member of the California Republican Assembly, "Unite Inland Empire" patriot group coalition, the “American Authors Association”, and “The Military Writers Society of America.” Doug received the Golden Anchor Award for his patriotic commentary in 2008, and received a California State Senate Certificate of Recognition in 2014 for his "Outstanding Patriotic Service." Doug is a family man, married 33 years to his high school sweetheart. He is the father of two and has seven grandchildren. Doug is a proud United States Navy veteran. Douglas V. Gibbs may be contacted to be a speaker, or to conduct a seminar/class at douglasvgibbs at reagan.com or at constitutionspeaker at yahoo.com. He may also be contacted by phone at 951-219-3975. 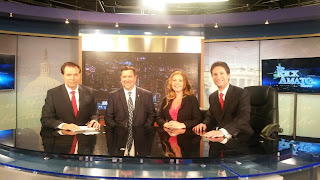 Doug has made appearances on Fox News, One America News, Al Jazeera, ARD German Television, and various local television and radio news broadcasts. Fox and Friends View the first video HERE. 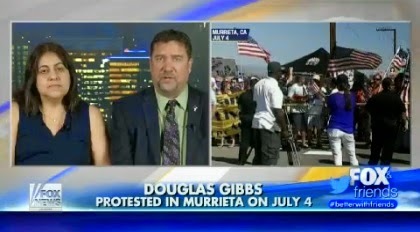 Fox and Friends with his wife - Video HERE. 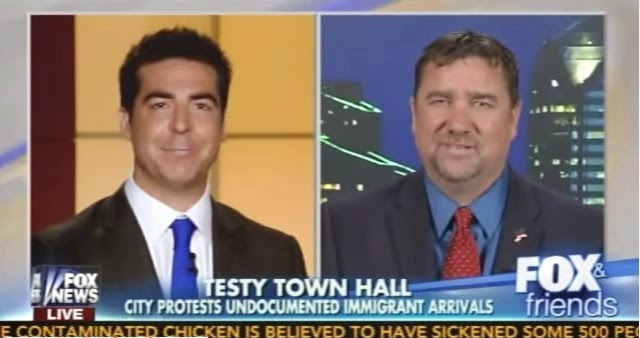 The first time Doug appeared on Hannity it was not as a guest, but in a clip Sean put on his show where Doug was interviewed by Fox News. 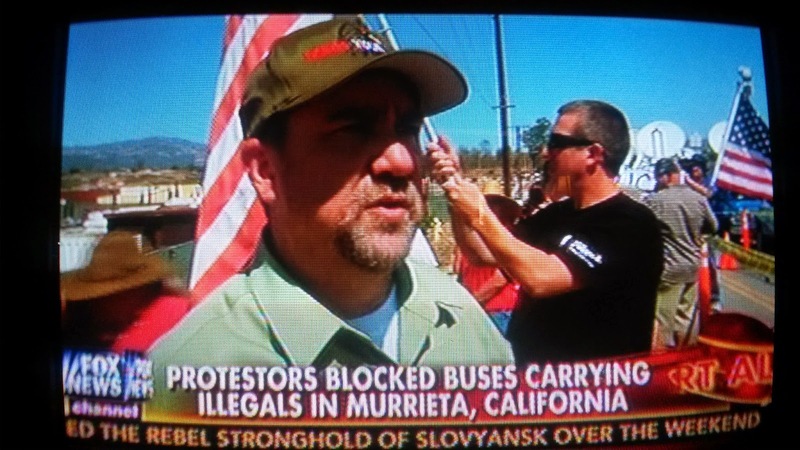 The clip also appeared on a number of other Fox News Channel shows. 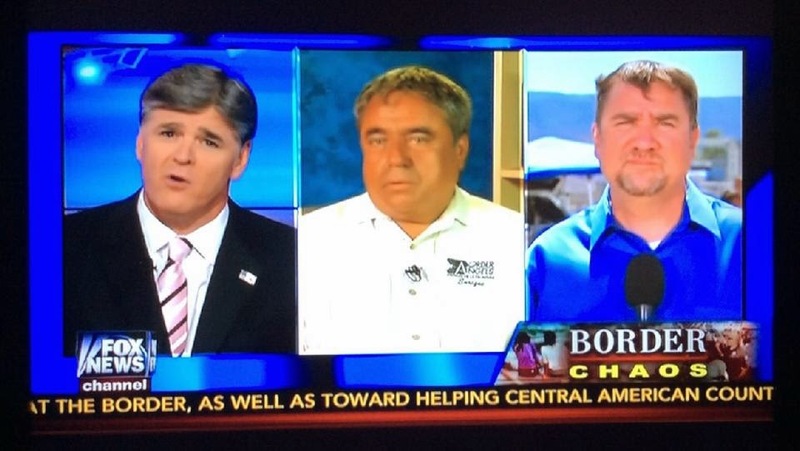 Later, Doug appeared on Hannity as a guest, while out in the field. 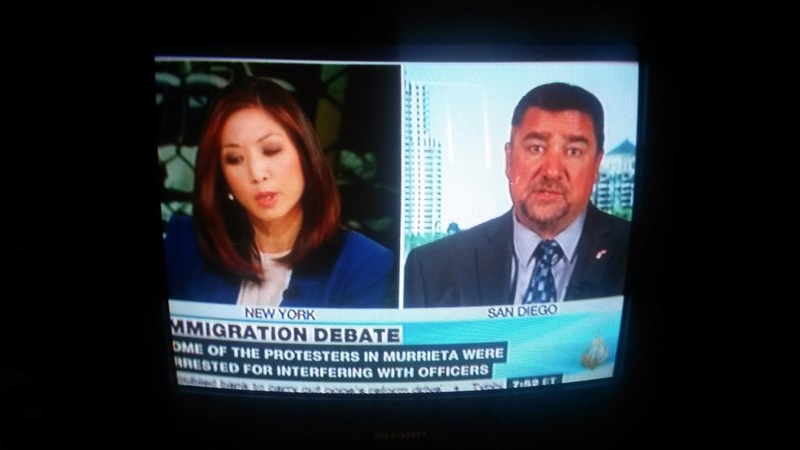 He debated the immigration issue with Enrique Morones. See the video HERE. Al Jazeera America television had Doug on the news network three times before they finally called it quits in America. One of the interviews is available on YouTube.